We go through around 14 billion plastic bottles, of all shapes and sizes each year. Most of us do our best to reuse, however plastic is slowly killing our sea creatures, fish and birds. This was a sad realisation for our children today and they are keen to do all they can to help the situation by reusing and recycling all the plastic bottles they come into contact with, they will need parental help to fulfill this wish! We are terribly proud of their understanding of the world and their commitment to make it a better place for all. There’s an old saying: what goes up must come down. 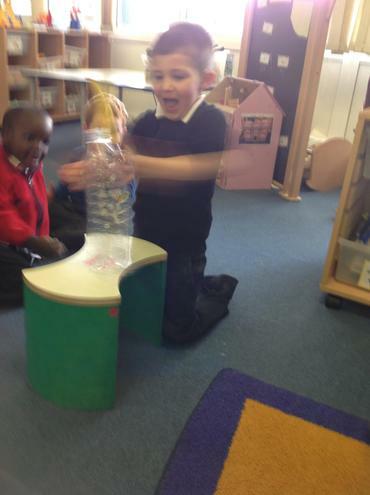 This activity was the perfect chance to challenge that idea, shooting a rocket high into the air by rapidly squashing a plastic bottle launcher. 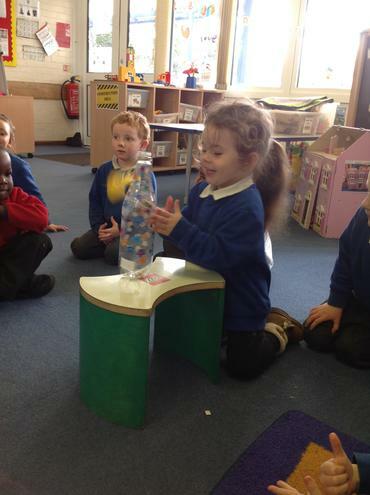 Our rocket's didn't make it to space but lots of fun was had trying! A busy week focusing on number recognition, sequencing, sorting and estimating. 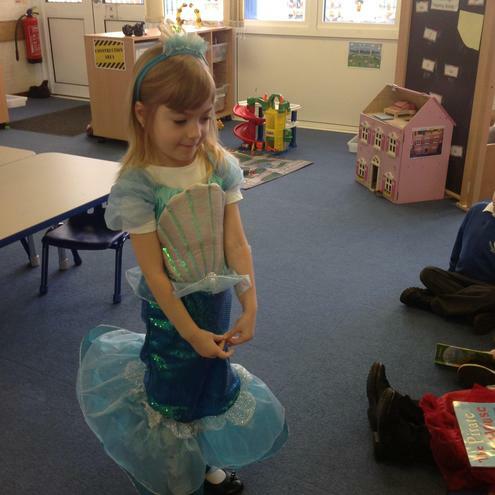 Well done Reception children, you truly are fantastic mathematicians! 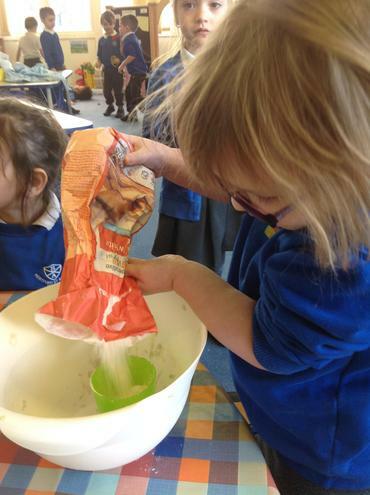 Making a mess, I mean playdough! 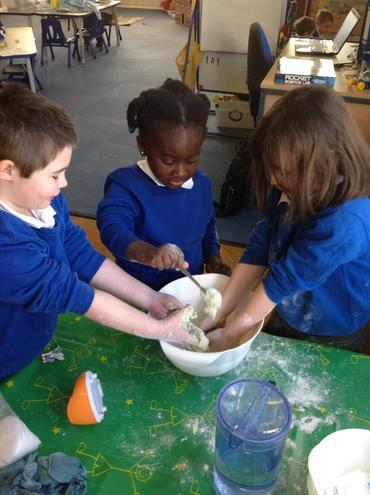 Playdough is one of the favourite activities in EY. Today was the day Mrs. Diggins and I decided a new batch was to be made. 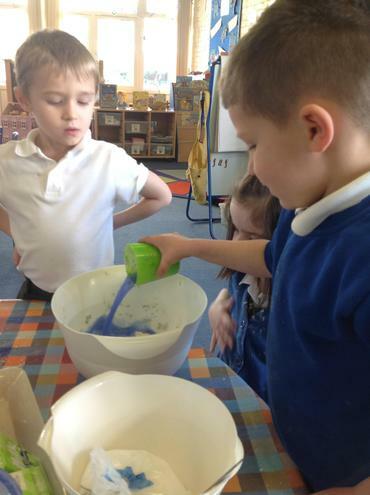 The children love measuring and mixing the ingredients together but my goodness the floor could barely be spotted once we were complete. 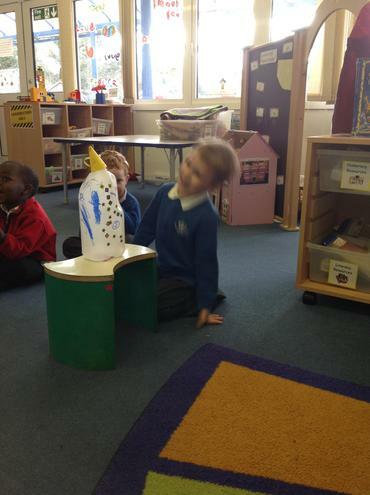 As always, the children took full responsibility of tidying up, they even hoovered the carpet! 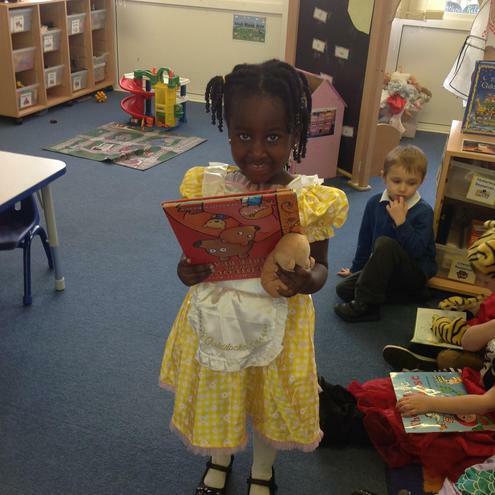 The classroom was full of wonderful book characters today! 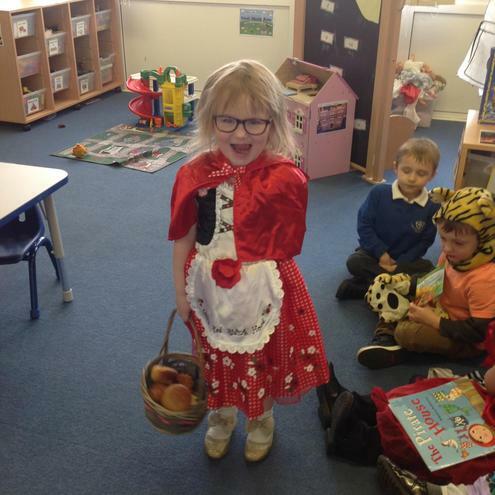 We shared all the books that were brought in, the children walked the catwalk to show off their costumes and it was wonderful to spend time with the whole school in such a buzzing environment. Well done everybody! The mud will wash off but the memories will last a lifetime! It seems we have been visited by a mysterious creature overnight. If you or anyone you know recognises this footprint, please contact any child or member of the early years team as soon as possible! 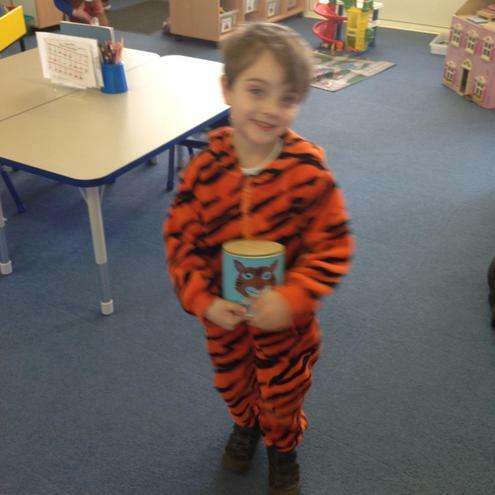 This week our focus text has been The Tiger Who Came to Tea. 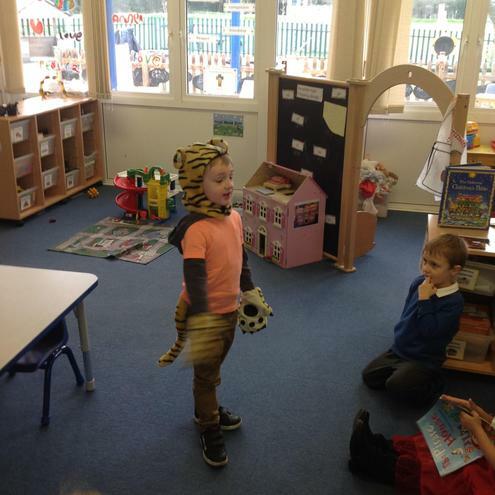 The children have enjoyed recreating the story through play, writing shopping lists, designing masks and finally, by making sandwiches to replace those eaten by the terrible tiger! I hope at least half a sandwich made it home? The weather never stops us from exploring our environment, in fact it invites to get out more! It may be cold but it is beautiful. The children loved going on a walk to see where and how Jack Frost been overnight. 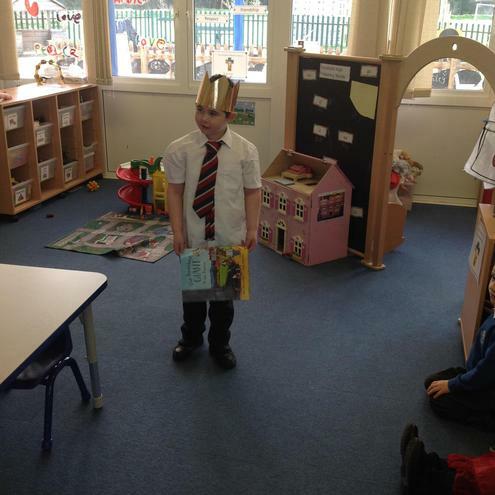 Today we have been learning about Saint Andrew. He is the Patron Saint of Scotland. 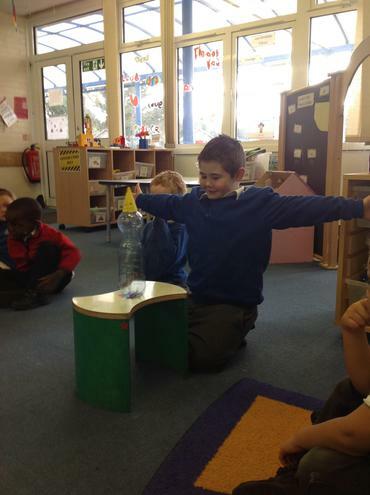 The children learnt about the special friendship between Jesus and Andrew. 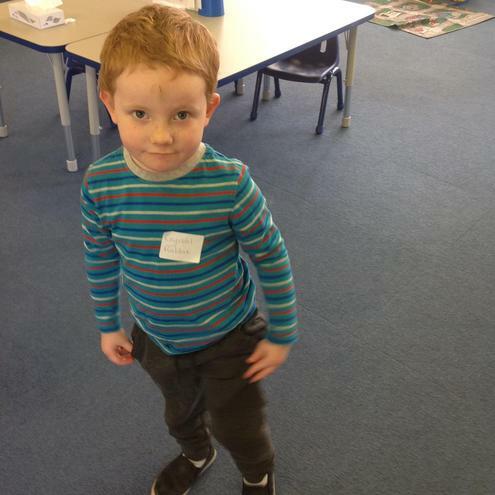 To celebrate St Andrew's Day, the children crafted Scottish flags in a selection of ways and learnt how to do a little Scottish country dancing. 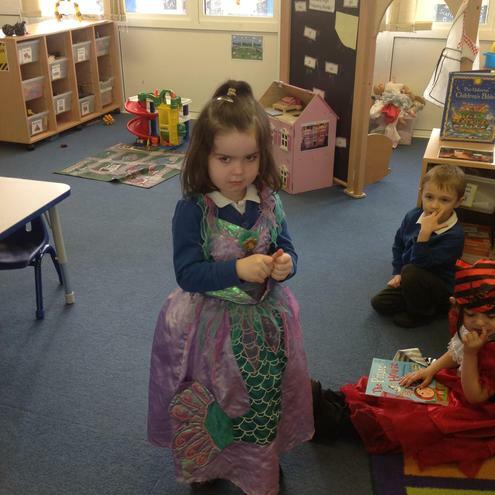 This week we have been learning about China. 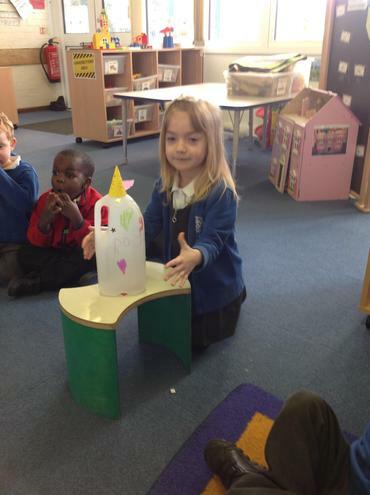 We focused our learning on a book called, 'Lin Yi's Lantern'. 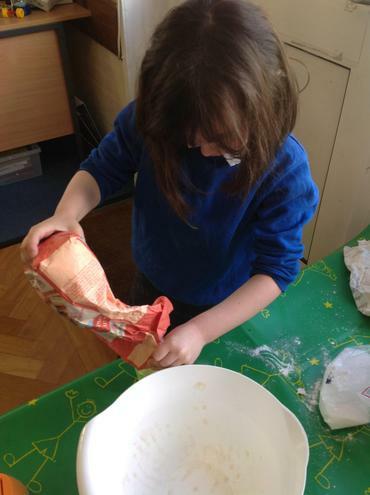 The children have located China on the globe, they have practiced writing their initials in Chinese writing, some, have tried a selection of Chinese food and they have enjoyed a range of music and songs. Thank you to all those of you who attended our exhibition after school! Raising money for the defibrillator! 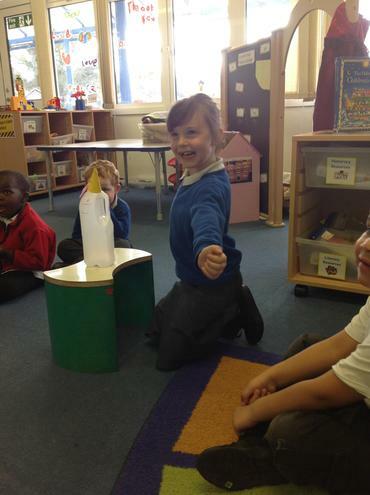 We have been extremely impressed with how resilient and skillful the children have been today. 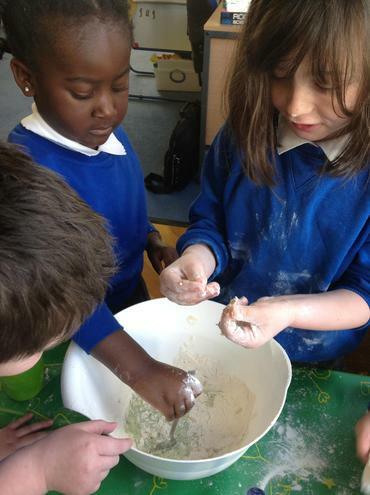 Everybody got involved and they all demonstrated enjoyment from working together to help the wider community. New development taking place in the EY garden! Lots of planning and constructing taking place in our garden this week. Watch out as our ideas and plans develop! 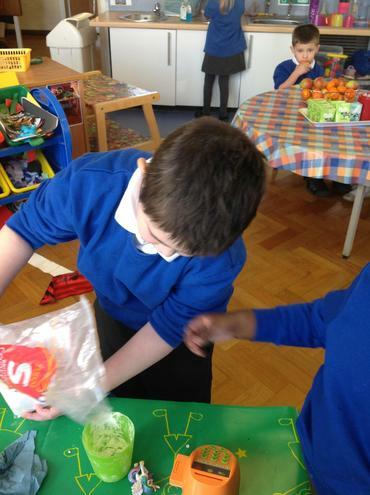 This week the children have enjoyed developing their mathematical skills through investigation and playing games. 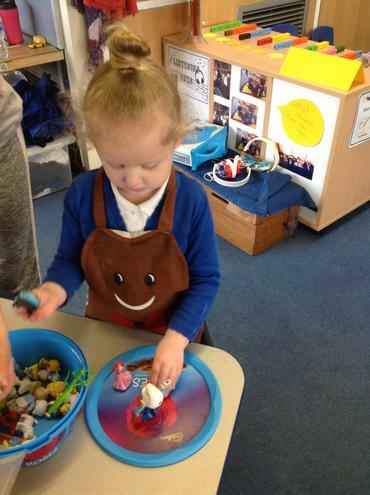 They have learnt how to spot and create patterns, and through playing a selection of games and completing puzzles, their use and understanding of mathematical language has improved. The children took a stroll around the school grounds looking for signs of autumn. The children observed how leaves have started to change color. They change to red, yellow and brown. 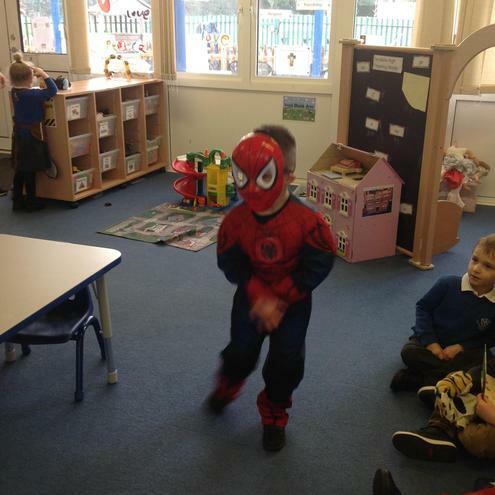 The children also discussed how the weather starts to get cooler and that there is a need to wear coats, trousers and hats. 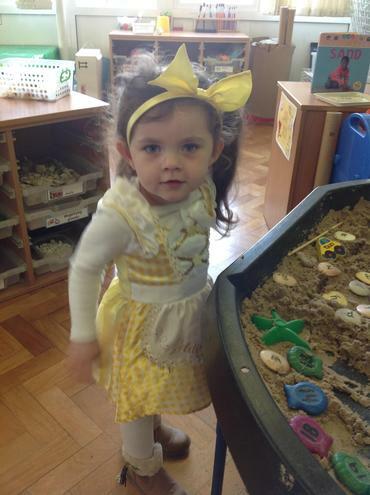 It has been an extremely fun and interactive week this week in Early Years. 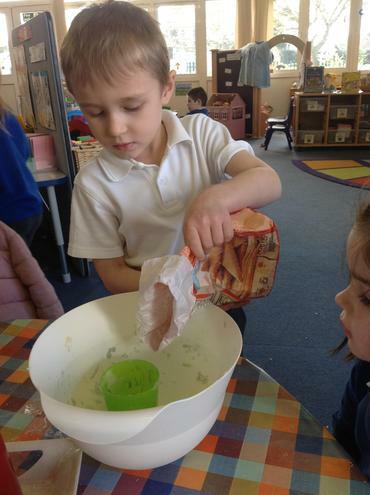 The children thoroughly enjoyed swimming in the sea searching for pearls in a drama session, measuring ingredients in order for us to bake delicious flapjack, learning a new song to perform at the Harvest Festival and building relationships and working together. 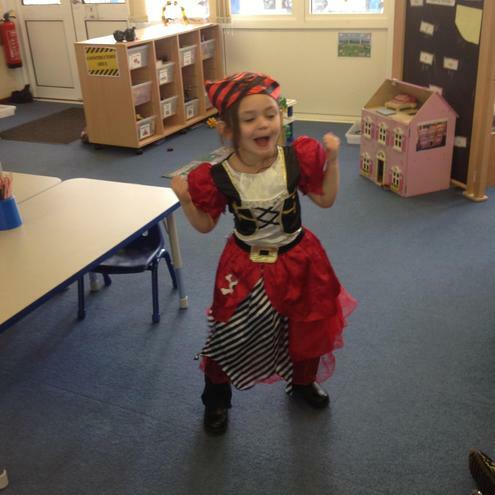 Nursery and Reception enjoyed an adventurous day of fun and exploration. We took a stroll from school to Panshanger Park, using our senses to explore the world around us. The children were exceptionally observant, noticing signs and numbers in the environment and they heard things which they could not see; for example distant traffic, birds and children playing. Lots of descriptive language was used to describe all they could see and hear. The children thoroughly enjoyed exploring the woods, climbing trees and finding caterpillars. We used sticky cards to collect different types of leaves, flowers and grasses. As with every school outing, lunchtime dominated; lots of healthy delights were eaten before our long walk home! 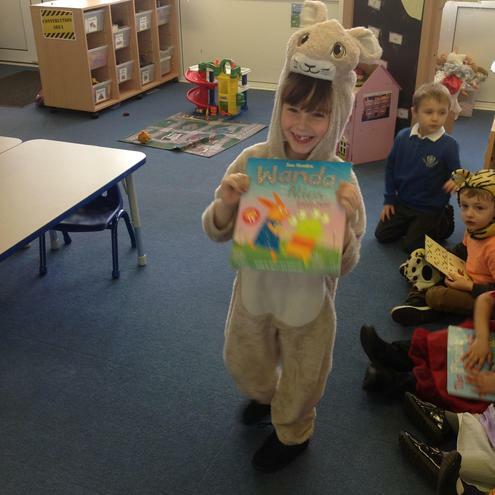 We were so proud of the behaviour and perseverance displayed by all who came (adults included).